Come il titolo stesso suggerisce, quest'album � stato registrato a Londra presso Earls Court il 18 dicembre 2004. Sebbene la maggior parte dei brani sia tratta da questo concerto, nei momenti in cui la voce di Morrissey non era al meglio, la registrazione � stata modificata con segmenti di altri concerti tenuti nel Regno Unito nello stesso periodo (Glasgow, Birmingham, Brighton e Dublino). Allo stesso modo le chiacchiere con i fans delle prime file, alcuni commenti taglienti e le allusioni alle imminenti vacanze natalizie sono state tagliate o sostituite con punzecchiature tratte dalle altre date. Alcune canzoni come "Shoplifters Of The World Unite" sono state velocizzate. La foto della copertina � stata scattata da Ethan Miller il 17 aprile 2004 a Las Vegas. 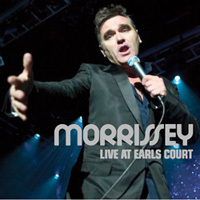 As the title suggests, this album was recorded at London's Earls Court on 18 December 2004. However, although it features mainly this date, when Morrissey's vocals were not the best the recording was patched with segments from other British dates from the same leg of the tour (Glasgow, Birmingham, Brighton and Dublin). Similarly, the chit-chat with fans in the front rows, a few biting comments and the allusions to the upcoming Christmas holiday were dropped or replaced with banter from those other dates. Some songs such as "Shoplifters Of The World Unite" were also slightly sped up. Cover photo was taken by Ethan Miller on 17 April 2004 in Las Vegas.